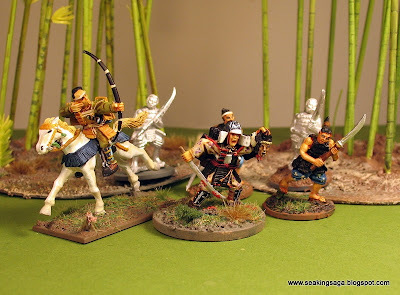 I now have a few points worth of Samurai to fight the Sohei monks for Ronin. 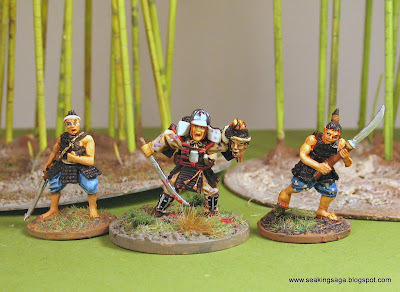 Below are three early Samurai from The Assault Group. In the Gempei Wars (1181-1185 CE), mounted Samurai considered the bow, not the sword, to be the elite weapon. 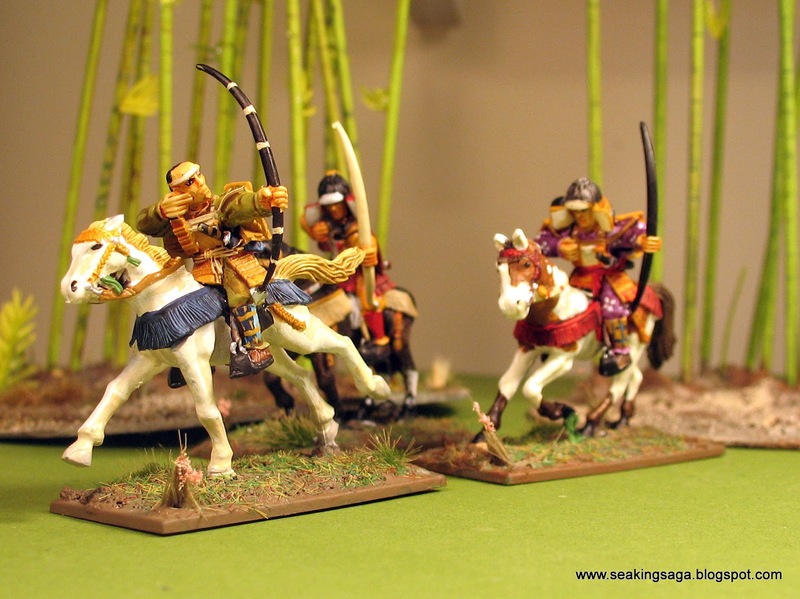 It would be very difficult to use all three of these horsemen in all but the largest Ronin games. 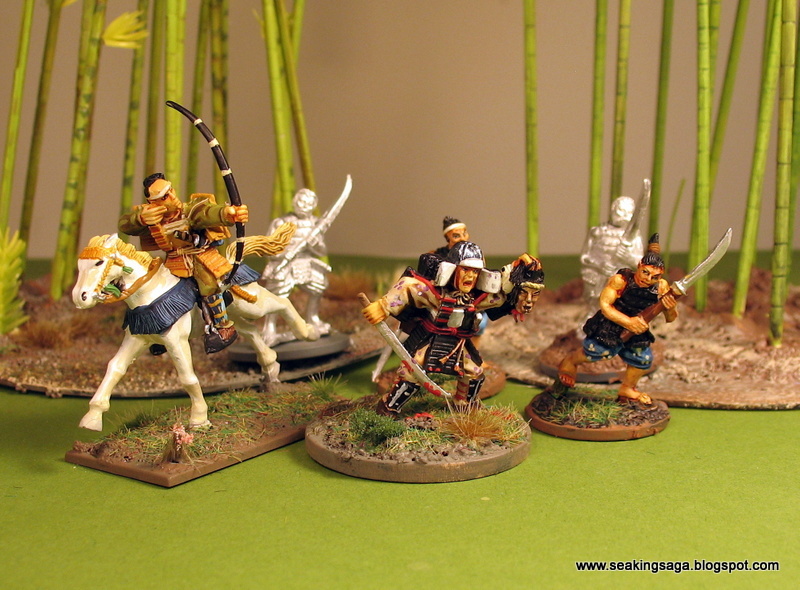 By my reading of the rules , a samurai on a horse (Hatamoto) with a yumi will cost 42 points each and are Rank 4. Three of them adds up to 126 points. Additionally, the faction rules for Bushi require that for each Rank 4 model there must be at least one Rank 3 model, which will add in another 72 points. Then, there must be at least two Rank 1/2 models for every Rank 3+ model. That means 12 Rank 1 Ashigaru, costing 216 points. 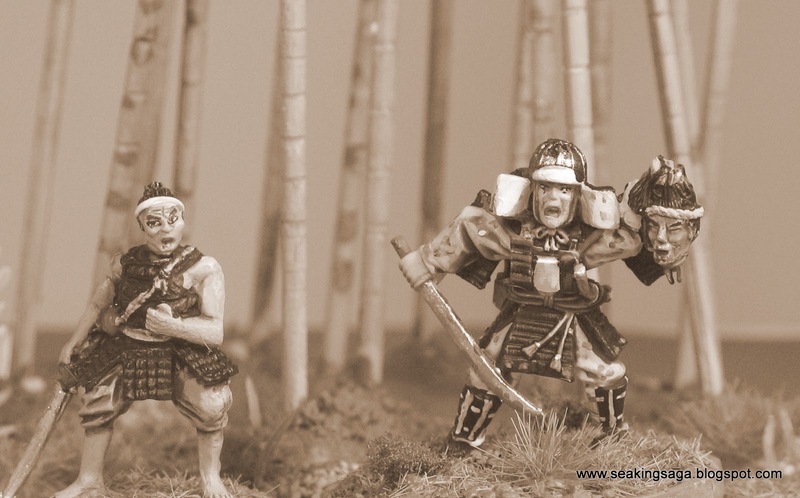 The minimum to get three mounted Samurai into a game is 414 points, which might be good for the campaign rules in the book, but not in any match I plan to play this early in my learning curve. 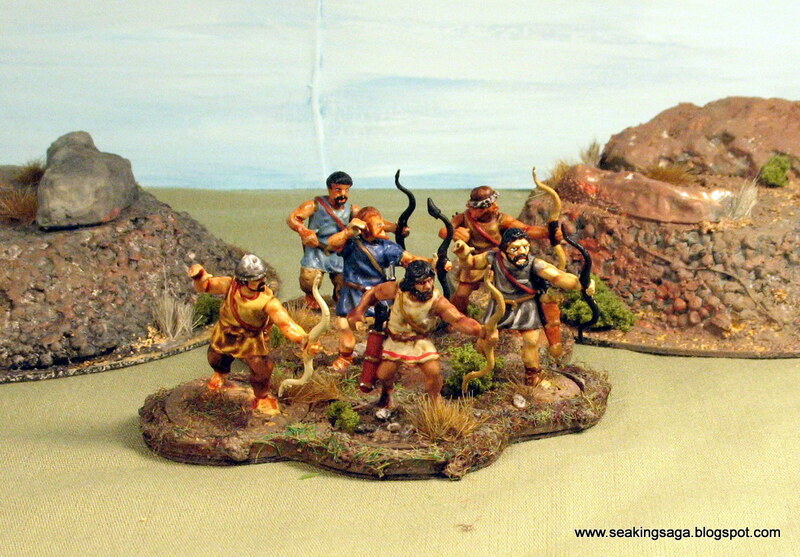 The photo below is a more modest 150 point force of just six models. Below, is a samurai from The Assault Group flanked by two bushi by West Wind. While they are not as crisply detailed as TAGs, they are also not as hefty and are more realistically proportioned. Playing with a photo filter for some faux-Kurosawa. 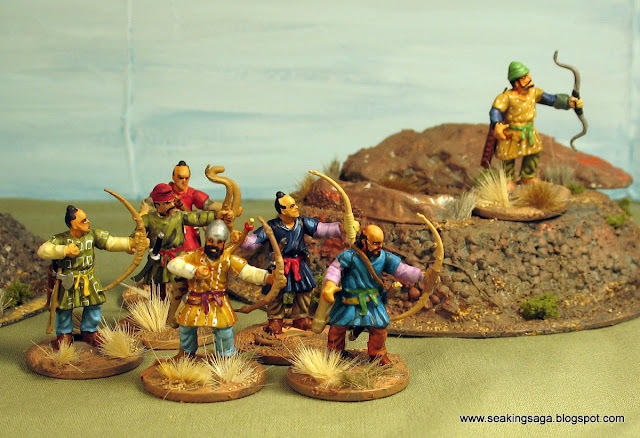 In SAGA developments, I picked up Wargames Illustrated 311 in my local game store this weekend for the Steppe Tribes faction. 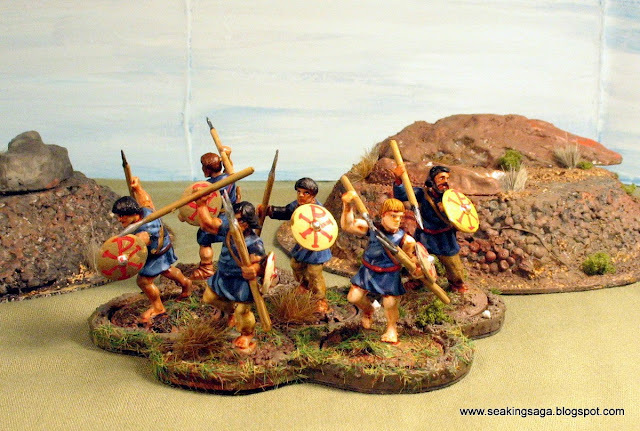 I already have a number of Khazars, Seljuks and Pechengs to fill out the mounted troops, and will try this week to knock out some levy archers from Wargames Factory's Persian and Numidian bits and bodies.